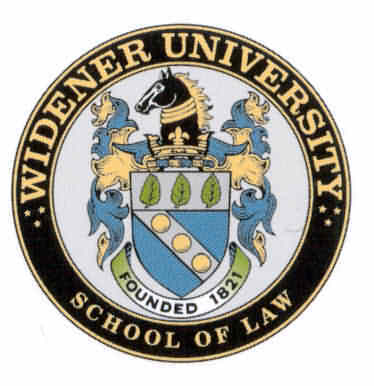 Congratulations to my nephew Kevin O’Brien on his graduation from Widener University School of Law and passing the Pennsylvania and New Jersey bar exams. Kevin has proven to be an extraordinary asset in recent years at Stampone law and is on his way to becoming an accomplished litigator. Now it’s my son Danny’s turn. Read how he went from a Catholic University graduate with uncertain direction to being on the path he is today. My cousin Kevin O’Brien recently graduated from Widener University School of Law and I could not be happier for him. Kevin was born to be an attorney; he is equipped with the passion, professionalism, and the know-how (not to mention the wardrobe) to be a successful attorney. While I am certainly envious he has scaled the mountain I have yet to begin, he has left in his wake a trail for me to follow. I began working at Stampone Law this past September and already Kevin has been a great mentor. But I am getting ahead of myself. Let’s backtrack to May of 2011, the month I graduated from Catholic University in Washington DC. Like many of my peers, I walked off campus diploma in hand, ready to tackle the world, and began to think; what now? 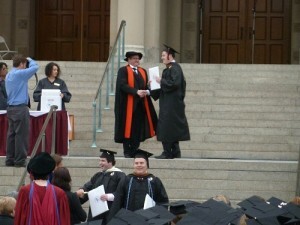 I had always been encouraged by friends, family and faculty alike that I should make a living doing what I truly love. Although rudimentary in nature, this idea was difficult for me to grasp. What am I passionate about? Well, I love dogs, but only those over 30 lbs (If I can kick it across a room it might as well be a cat). I love to eat, but after working in various positions within the restaurant business for four summers I learned it was not for me. My brother Pete, now he belongs in the biz (Pete Stampone, remember that name Philadelphia foodies – currently Assistant GM at Assaggio del Forno in Boca Raton FL). My last stint in the restaurant business was at Juan Pablo’s Margarita Bar in Wildwood, New Jersey. It was one lonely night there when I came to the realization I needed to explore a little bit. No, I don’t mean backpacking across Europe to find myself. I needed to get out there and experience various career paths in order to truly find where my interests lay as I had with the restaurant business. For inspiration and guidance I looked to my family, specifically my father and my uncle, Dave O’Brien. opportunity created by my father. My father was able to provide for myself and my siblings more than I could have ever asked for; Provide a great home in a nice neighborhood, a great education and even a vacation house in Wildwood Crest. Despite all that, his most important contribution undoubtedly was his time and support. My athletic career, cut short by a serious knee injury, was always a top priority of dad’s. He attended nearly every soccer, basketball, and baseball game I ever played (not to mention every one of my four siblings games too). 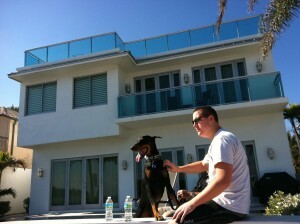 I think he enjoyed the outdoor sports where he was able to smoke a Montecristo No.2 with Capo, our Doberman. He never brought orange slices for halftime and didn’t enjoy conversing with the team mom, but hey, I didn’t care. He was there for me and I could not be more grateful. In addition to my father I could always count on my Uncle for support. The O’Brien’s moved to Philadelphia from California where Uncle Dave was the athletic director (AD) at Long Beach State. The move was sparked by an offer to become the AD at Temple University. From that day forward, the Stampone’s became die hard Temple basketball fans. Pepe Sanchez, Quincy Wadley and Kevin Lyde became household names. We attended every game we could and sat courtside, thanks to Uncle Dave. Stampone Law even became a proud sponsor of the Owls. I will never forget thinking how cool my uncle’s job was. You get to hang out with John Chaney and watch basketball for a living! That’s something I would be interested in. If you were to visit my elementary school yearbook you will see that 5th grade Dan Stampone wanted to be a professional soccer player and noted “attorney” as a fallback occupation. While I have never attended the open tryouts annually held by the Philadelphia Union, I did see a career in collegiate athletics as a possibility. Labor Day came as quick as usual this past year and I needed a job. Interest in pursuing a career in law had always been in the back of my mind. What kid doesn’t want to follow in their dad’s footsteps? So I decided to go to work for my dad. Fortunately for me, at that time I did not have enough experience to be working fulltime. I needed to round out my week somehow and what better way to do so than athletics, another potential career path. Through the help of my Uncle I landed a job with the Philadelphia Big 5. For those of you who don’t know of the Big 5, it’s an athletic association formed in 1954 primarily focused around basketball, consisting of 5 prestigious Philadelphia universities: La Salle, Temple, Villanova, St. Joe’s and Penn. On a daily basis I was communicating with the Sports Information Directors from these universities as well as our sponsors. Among my duties was to select the men’s and women’s Big 5 Basketball Player of the Week. Furthermore, I was involved in game-day coverage and drafting recaps of the games for the Big 5 website as well as helping coordinate special events such as the Big 5 Golf Outing and the Hall of Fame Banquet. I was hired by Brett Burchette, the Director of the Big 5 and a professor in the School of Technology and Professional Studies at Drexel University. Brett is a well traveled man who has worked in several athletic programs throughout the country. Brett’s well-rounded experience in the athletic sector made him well qualified to give me insight concerning my career choices. Based on my interests, Brett suggested I apply for a position at several sports management firms. I walked out of each interview with a smile on my face thinking I would be selected for the job. I knew I was qualified, interviewed well and had the right people in my corner supporting me. However I didn’t receive any of the job offers. Brett did some investigating and discovered that unknowingly in every interview I mentioned I wanted one day to attend law school. It was not until that moment I truly realized what I had been hoping to do by exploring my options. I wanted to become a lawyer. I start school this coming August at Widener University School of Law and embark on what is sure to be a grueling process. I will be working at Stampone Law by day and going to school by night, just like my cousin Kevin has done for the previous 4 years. I am so grateful to be able to gain the experience of working in a law firm while attending school and what better resources to have than Kevin and the rest of the team at Stampone Law. While I plan on making Stampone Law my place of business for many years to come, I am not ready to discount the possibility of combining my passions for law and athletics…I’ll eat and walk Capo in my spare time. Dan, I don’t think there could be a better mentor than Kev. You guys are going to make a pretty unstoppable team one day.